Arrested At The Long Beach Airport? Millions of folks travel every year from the airport in Long Beach California. For most the experience is pleasant, however, there are a large number of people who find themselves charged with various criminal offenses due to the actions of the airport police. The crimes range anywhere from possession of small amounts of drugs found in carry on luggage to the discovery of weapons such as knives, brass knuckles, ammunition, or firearms inadvertently left in hand bags and suitcases which are checked by TSA employees and airport security. These criminal offenses are typically filed in the Long Beach Superior Court and often are set out for a future appearance, unfortunately, for many that live outside the area are difficult to handle. Having a local criminal defense attorney step in and represent the defendant seems to be the most logical solution. Attorney Matthew Ruff has defended countless clients charged with various misdemeanors and felonies stemming from the airport. In one recent case, he represented a client traveling through the area who had a small amount of marijuana in his suitcase. The security personnel treated it as a “federal offense” and arrested him, giving him a Court date for the violation. The lawyer was able to get involved early enough and resolve the case without any appearance by the client, who lived in another state. In another case, Matthew defended a client charged with having shot-gun shells in his luggage from a recent hunting trip. The attorney went to Court on behalf of the accused and got all charges dismissed. Another frequent scenario at the Airport in Long Beach is a pubic intoxication detention. Many travelers imbibe way too much alcohol and try to board a plane. The airlines have strict rules against having drunk passengers on flights, therefore they will eject the person who very likely will be cited by law enforcement for PC647f. These charges can be dropped if a lawyer gets involved early on to intervene and advocate on behalf of the accused. 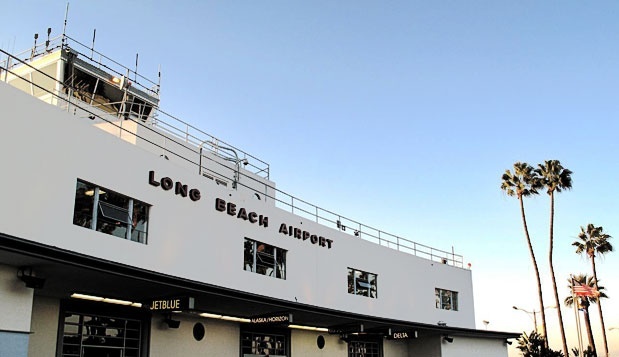 Also, it is not at all uncommon to see someone arrested at the Long Beach airport due to a bench warrant or other type of criminal arrest warrant, usually due to some failure to appear or outstanding case that was not attended to. Here, again, a lawyer can go to Court for you and smooth things out on the warrant. The pesron will be detained and given a summons to show up at a later date to resolve the case. If you or someone you know has been arrested and charged with a crime which occurred at the Long Beach Airport, contact Mr. Ruff for a free consultation. He can usually negotiate a resolution of all charges. He can be reached toll-free at 1-877-212-2090 and is available to be retained over the internet. Just when you think the case was dead and buried, one of the Simpson prosecutors made startling accusations this week that revived the case and has upset many involved. The head District Attorney on the case, Darden, now a criminal defense attorney in Los Angeles made a very perplexing allegation in a speech he gave to a College. The disgruntled ex prosecutor alleged that the deceased defense lawyer Johnnie Cochran manipulated the glove that so embarrassed Darden in the trial. Darden says the attorney tore the lining with the intent to have it not fit Simpson in the now famous scene where he tries the glove and it does not fit. The stunt led to the winning phrase of the criminal trial “if the glove does not fit, you must acquit”. Other defense lawyers involved in the case have not commented. The new story seems to outrage many in the legal community and see it only as “sour grapes” from an ex D.A. who got his buttocks kicked. I guess some people simply cannot admit their defeats and move on with life. Lost DMV Hearing? Know What? 1. Obtain proof of insurance by way of an SR-22 that must be filed with the DMV. This is done electronically directly from the company to the DMV. For help with this contact your own insurer or call other insurance agents to get quotes, Let them know you want the cheapest possible rate for a SR-22. If you do not own any cars a non-owner policy can be obtained. It is best to do this as soon as possible. Secondly, according to one Burbank Criminal Attorney, If the DUI took place in Los Angeles county you will also need to eventually get an IID, if you were also convicted of a VC23152 in Court, if it was reduced to a wet reckless or less, or no criminal charges were filed you are home free. 2. Get enrolled in a first offender 3 month AB541 alcohol education program. Bring the DMV decision with you to your appointment. Tell them that you wish to “self-enroll” for DMV purposes. The program will file the enrollment with the DMV, confirm with them that they have done so. I have attached a list of all school providers in the state. 3. Pay the applicable re-issue fee to the DMV at any field office, this is usually $120, but can be more depending on the financial status of the state of California at the time. 4. Lastly, you must wait 30 days from the date the suspension started. Good luck, with a little time the suspension will be over and you can move on with your life. It has taken nearly a decade to conceptualize and implement but the fruition of the construction of a new superior court in the city of long beach has been realized. Soon, the court will be hearing cases such as DUI, domestic violence, drug possession, prostitution cases and felony matters in a setting free from asbestos and rodents. All Judges in the current building are looking forward to the transition which should start later this year.